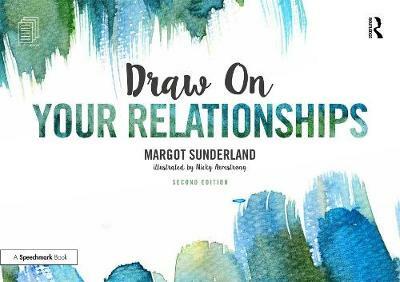 Draw on Your Relationships is a bestselling resource to help people of all ages express, communicate and deal more effectively with their emotions through drawing. Built around five key themes, each section contains a simple picture exercise with clear objectives, instructions and suggestions for development. The picture activities have been carefully designed to help ease the process of both talking about feelings and exploring life choices, by trying out alternatives safely on paper. This will help to create clarity and new perspectives as a step towards positive action. Offering a broad range of exercises which can be adapted for any ability or age from middle childhood onwards, this unique book explores a range of emotions surrounding a person's important life experiences, key memories, relationships, best times, worst times and who they are as a person. This is an essential resource for therapists, educators, counsellors and anyone who engages other people in conversations that matter about their relationship to self, others and life in general. This revised and updated second edition also contains a new section on how to use the superbly emotive The Relationship Cards (ISBN 9781138071018) to facilitate deeper therapeutic conversations.